Brian Gaine said the Texans are still negotiating with DE/OLB Jadeveon Clowney with the hope of getting a new contract done. Houston put the franchise tag on Clowney last month, so the two sides have until the July 15 deadline to reach a new deal. Texans general manager Brain Gaine said he expects Will Fuller to be ready to go Week 1 against the Saints. He said the receiver has been in Houston rehabbing all offseason and hasn't had any setbacks. Fuller the ACL in his right knee in October. A midseason stretch of road games could pay off later as the Texans could have some favorable home matchups in November and December. The Texans will play the Jaguars in London in Week 9 (Sunday, Nov. 3). The game will be played at Wembley Stadium and kickoff is scheduled for 8:30 a.m. CT. This is the Texans' first game in London. 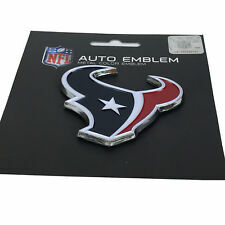 It seems likely that the Texans will use an early draft pick on a lineman who would potentially have to start as a rookie. The Bucs have signed defensive lineman Nick Thurman, team announced. An undrafted free agent out of Houston in 2018, Thurman spent this past season with the Texans. He did not see any action in regular season games but notched nine combined tackles in the preseason. Bill O'Brien told ESPN's Adam Schefter that the Texans "feel really good about where Will [Fuller] is right now," coming off a torn ACL. O'Brien said he didn't want to put a date on the receiver's return, but he thinks there's a chance that Fuller could be ready by training camp. Adam Schefter talks to Texans coach Bill O'Brien about Houston's busy offseason, Deshaun Watson's ceiling as a QB, his memories of working with Tom Brady, Rob Gronkowski and more. The Texans' Andre Hal retired on Tuesday but said his decision was not related to the cancer he battled last year. Texans safety Andre Hal announced his retirement from the NFL, but said in a statement that his health "did not have anything to do" with his decision. Hal missed half of the 2018 season on the non-football illness list while undergoing treatment for Hodgkin lymphoma. Hal was expected to back up safeties Tashaun Gipson and Justin Reid next season. The Jaguars padded their running back corps on Monday by signing former Texans backup Alfred Blue. The 'tough side of professional football' -- a contract impasse with a star player -- likely will have an impact on Bill O'Brien's offseason program.